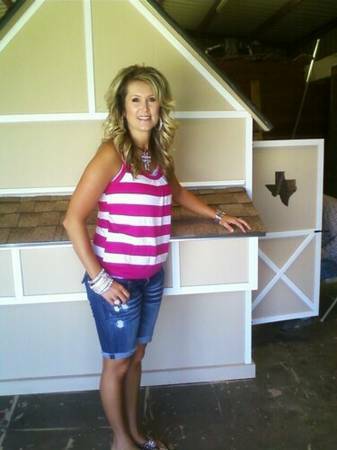 Texas Chicken Coops Pampers Petsl. Today people are living the Good Life "Southern Style" which includes the pampered pets, even the chickkens are becoming our best friends. Our heritage hens bring organic fresh farm eggs to our families table..all we only have to bring home is the bacon.. There is nothing better a Health Farm Fresh Egg served at breafast or mix in a cake! into their city life style, chickens are very relaxing to watch they make you Happy Happy! 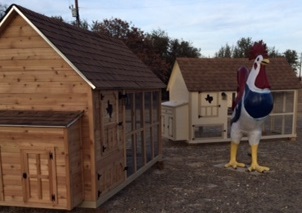 Texas Chicken Coops, have given people something to PEEP about and so far is has been EGG-CITING news ! only time i will fly you will know I made heaven and got my wings!..lol lol hate hate flying! 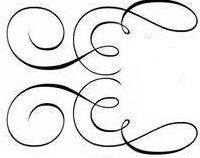 just click on the Luxury, Fancy, or Posh links above to view more information and photos. 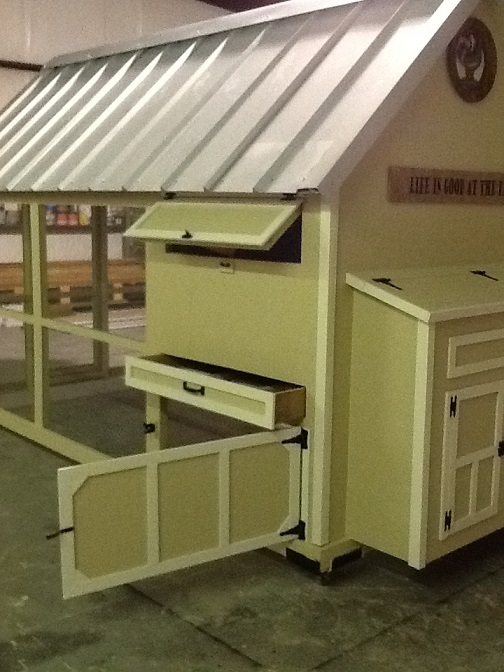 We are a small family business, and proud of the coops we build for wonderful families who love pet as we do. 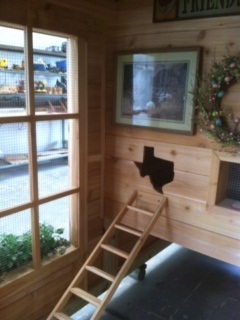 Thanks for the Peep's about our coops ! Thank you for your time ! 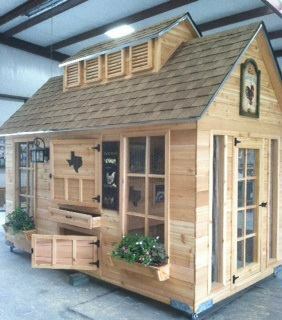 Our custom backyard Texas chicken coops are luxury, fancy, posh and country chicken coops of southern style, our coops are custom ordered from the elite ubron backyard gardener and farmers of today. 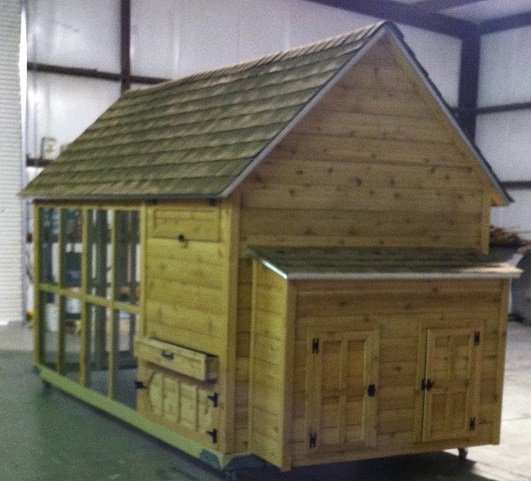 We have no inventory or any diy kits, every house is designed and handcrafted for that customers dream chicken coop, duck ,bird coop or pet house as per order. 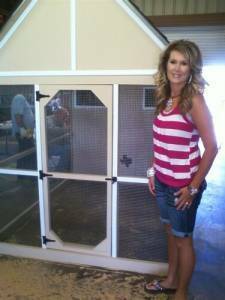 Our aim is to design, build and surpass the urban backyard chicken coop families expectations of our better quality chicken coop or pet house, a beautiful coop to enjoy fresh eggs and the peeps. 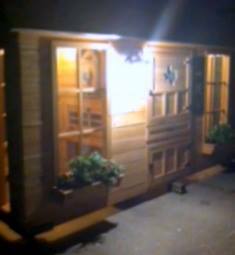 We hope to de-light the ubran backyard gardeners and farmers with our quality charming chicken coops and all who see them..
Our Luxury chicken coops give families something to peep about while they enjoy the farm fresh eggs at breafast.